1.The promoter is: Western Australian Fishing Industry Council (WAFIC) (company no. 36 814 383 345) whose registered office is at Level 1, 56 Marine Terrace Fremantle. 2.The competition is open to apprentices of Western Australia aged 16 years or over except employees of WAFIC and their close relatives, and judges of the competition. 6.Only one entry will be accepted per WA apprentice. Multiple entries from the same person will be disqualified. 7.Closing date for entry will be 1200 on 31st May 2019. After this date no further entries to the competition will be permitted. 8.No responsibility can be accepted by the promoter or its employees for entries not received for whatever reason. 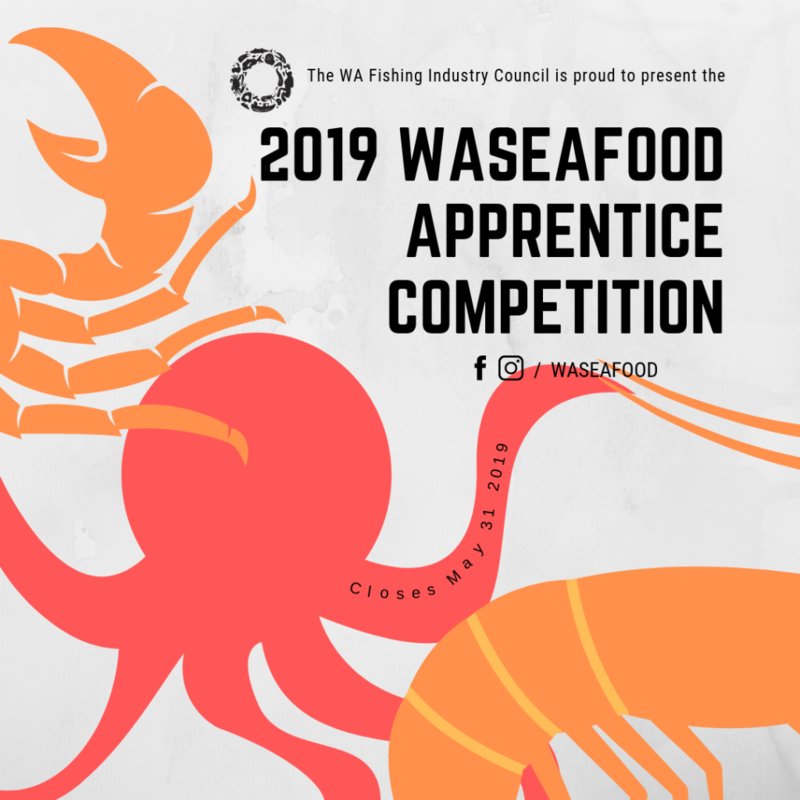 Calling all passionate apprentices working in the Western Australian food industry, we encourage you to enter the 2019 ‘WASEAFOOD apprentice’ Cooking Competition. One lucky apprentice will win a set of fish filleting knives, worth $250, along with training from our WA Seafood Ambassador, Don Hancey, in conjunction with a seafood retailer. Step 1: You design a dish (using a WA seafood species). Note special consideration will be given to those who use a lesser known species. Step 2: Get your dish on your restaurant’s menu as a ‘special’ (It could be a day, a week, an event, or a month – as long as it’s on there). Step 3: Upload a photo of your dish and the menu to your preferred social media platform (Facebook or Instagram) with a description of your dish. 10 The promoter reserves the right to cancel or amend the competition and these terms and conditions without notice in the event outside of the promoter’s control. Any changes to the competition will be notified to entrants as soon as possible by the promoter. 12. The prize is as follows: A set of fish filleting knives, valued at $250, along with training from our WA Seafood Ambassador, Don Hancey, WAFIC and retailer stall member. The prize is as stated, and no cash or other alternatives will be offered. The prizes are not transferable. 13. The winner will be notified by Direct Message on Facebook and or Instagram. If the winner cannot be contacted or does not claim the prize within 14 days of notification, we reserve the right to withdraw the prize from the winner and pick a replacement winner. 14. The promoter will notify the winner when and where the prize can be collected / is to be delivered. 18. The winner agrees to the use of his/her name and image in any publicity material, as well as their entry. Any personal data relating to the winner or any other entrants will be used solely in accordance with current Australia’s data protection legislation and will not be disclosed to a third party without the entrant’s prior consent. 21. HTTP://WWW.WAFIC.ORG.AU/PRIVACY-POLICY/The entrant must have liked WAFIC on Facebook and or Instagram in order to enter. 22. WAFIC shall have the right, at its sole discretion and at any time, to change or modify these terms and conditions, such change shall be effective immediately upon posting to this webpage. 23. WAFIC also reserves the right to cancel the competition if circumstances arise outside of its control. Filleting knives worth up to the value of $250. The prize is as stated, and no cash or other alternatives will be offered. The prizes are not transferable. Value and Experience (score out of 20).